From Asia and Africa to Latin America and the Middle East – kidnapping of citizens or soldiers has always been a popular tactic among armed militia and many terror organizations worldwide – since the 1970s, in which global terror was in its infancy. According to the US State Department, in 2016, 13,477 people were kidnapped all over the world. 11,665 people – which account for 87% of all kidnappings – became hostages in just three countries: Iraq (the record holder for kidnapping, responsible for 64% of the kidnappings), Afghanistan, and Syria. It is no coincidence that these three countries are the platform on which some of the world’s deadliest (and richest) terror organizations flourish. Even if it is never admitted publicly, many countries and governments – particularly European – transfer large sums of money to some of the most murderous terror organizations each year, in various ransom transactions. They clearly prefer to negotiate through representatives, and even sometimes to be assisted by dubious agents – than to conduct a direct confrontation, publicized and bloody. In these cases, domestic pressure outweighs the overall national interests and the good of the citizens in the long term. Terror experts have stated in the past that the ransom payments only encourage and incentivize more abductions, thus further exacerbating that which they sought to prevent. As stated in December’s special piece on “The world’s richest terror organizations,” the money that flows into the terror organizations’ “abduction industry” can in some cases be as much as many tens of millions of dollars, and make up a major component of their business portfolio. Comprehensive research done by the New York Times found that from 2008-2014, Al-Qaida and its various branches pocketed a cumulative sum of $125 million in ransom money – of which 66 million dollars came in in just one year. A senior member of the terror organization even admitted in an interview that these amounts sometimes fund about half of all of their yearly operations. According to the US Treasury Department, ransom money to the tune of about 165 million dollars was paid during this period – and the trend is only growing stronger from one year to the next. The excellent study of the New York Times exposed not just enormous amounts of money paid to Al-Qaida, but also, and especially, which countries pay the most to the organization’s operatives. And so – while the United States and Britain refused the validity of any negotiations (which cost them the blood of their citizens and scathing domestic criticism), the governments of France, Spain, Switzerland, and Austria did not hesitate to generously open their wallet and transfer hefty sums to terrorists. France, for example, during that period (2008-2014), paid Al-Qaida 60 million dollars for the release of 10 citizens. Switzerland and Spain paid about 11-12 million dollars each, for a transaction which released five Spanish and three Swiss citizens. 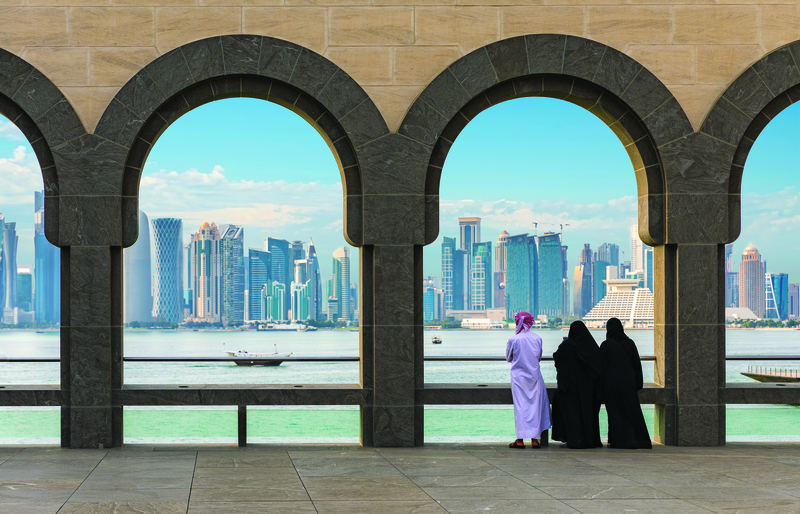 Among those countries that pay, the two that stand out are Qatar and Oman. Throughout the years 2012-2013, these two countries have paid out Al-Qaida and its branches in the Arabian Peninsula sums of over $20 million and this in spite of the fact that no Qatari or Omani citizens have been captured by the organization (in these transactions 2 Finns, 1 Austrian and 1 Swiss citizen were released). In additional transactions in 2014 and 2015, Qatar paid ransom of tens of millions of dollars to the organization Jabhat-al-Nusra, a branch of Al-Qaida in Syria. Not one of the cases involved the release of a citizen of one of these oil-rich nations. In hindsight, that was perhaps the gun that appeared in the first act. This is the same gun that would emerge in the final act, thick smoke rising from it, covered in the fingerprints of Qatar. Indeed, if someone was looking for the smoking gun that would expose the involvement of Qatar in funding terror organizations – what happened in the spring of 2017 was like a heavy barrage of an artillery bombardment, which dwarfed the huge sums of money handed over in recent years. As part of the conditions of the ransom transaction for the release of 25 Qatari citizens, members of the royal family, that were kidnapped in Iraq during a showy hunting trip and held by the Iraqi Hezbollah, Qatar was “forced” to pay a fantastic ransom that, according to the Financial Times, was worth about $1 billion. The thin line between funding and aiding terror organizations and paying ransoms, has, in this case, been almost entirely blurred. The unprecedented ransom deal heavily funded several of the deadliest terror organizations in Syria and Iraq. The dubious deal was perceived by many as direct aid from the provocative oil princes to the terror organizations, and ultimately brought about the famous boycott against them by Saudi Arabia, the United Arab Emirates, Egypt and Bahrain, as well as regional isolation. But now correspondence in the form of emails and recordings, that were exposed recently by the Washington Post, shine light on the manipulative meddling of Qatar in Middle Eastern matters. The thorough documents plainly show the details of the provocative deal, which led to significant moves in the region (mainly to the benefit of the Iranians), and fed hundreds of millions of dollars to terrorist organizations, both Shiite and Sunni. The correspondents documented in the correspondence are not junior government clerks, but rather senior government officials, directly linked to the royal palace of Qatar, that execute orders that come directly from the rulers of the kingdom. In the context of the exposé, correspondence between Qatar’s foreign minister and Qatar’s ambassador to Iraq was published, in which the ambassador submits reports to such a degree of detail and resolution, as to leave no room for doubt regarding the direct involvement of senior Qatari officials in putting together the deal with the Iranians and the Shiite and Sunni militias in Iraq and Syria, which are officially defined by the US State Department as terror organizations for all intents and purposes. There are Iranian fingerprints at every stage of the ransom deal, which are especially conspicuous in the demands communicated by the Shiite militias, which “surprisingly” benefit Iranian interests in the region. Among other things, these include a requirement of Qatar’s complete withdrawal from the coalition of states formed by Saudi Arabia against the Houthi forces in Yemen, the immediate release of Iranian soldiers being held by Sunni rebels, and the transfer of tens of thousands of Shiite residents of villages in northern Syria, who were under the control of Sunni rebel organizations (supported by Qatar), and their resettlement in areas under the control of Assad. In April 2017, in a comprehensive operation, complex and beautifully synchronized, convoys of buses headed toward the Shiite towns of Al-Bu’a and Qabraya in northern Syria, and began evacuating thousands of residents. At the exact same time, a bus carrying members of the Qatari royal family and friends made its way to the Baghdad International Airport on their way to freedom. Just a few days before, at the same airport, a direct flight from Doha landed bearing a mysterious delegation, carrying a heavy load of no less than 23 identical black kitbags, with a total weight of over 1.1 tonnes. In a surprise inspection of suspicious cargo, the local customs officials were shocked to discover that the bags contained piles of cash, in dollars and euros, worth a total of $360 million. In retrospect, it turned out that it was only a small portion of the hundreds of millions that exchanged hands in the biggest ransom deal in history. What is most remarkable of all, is the fact that these enormous sums, that changed hands between those that fund terror and terror operatives, is not the final profit of those involved. In one of the items of correspondence that was intercepted and revealed, the Qatari ambassador describes in great detail the commissions to be transferred to the brokers for completing the transaction. For example, it was decided that a man named Abu Muhammad al-Sa’adi, a mediator on behalf of Kata’ib Hezbollah, would receive about $5 million. A senior Iranian official, who was also involved in the deal, is expected, per the mail correspondence, to receive about $20 million, while the leader of the Kata’ib Hezbollah organization will receive no less than $25 million for carrying out the transaction. This is in addition to the $150 million dollars handed over to the organization that he heads. 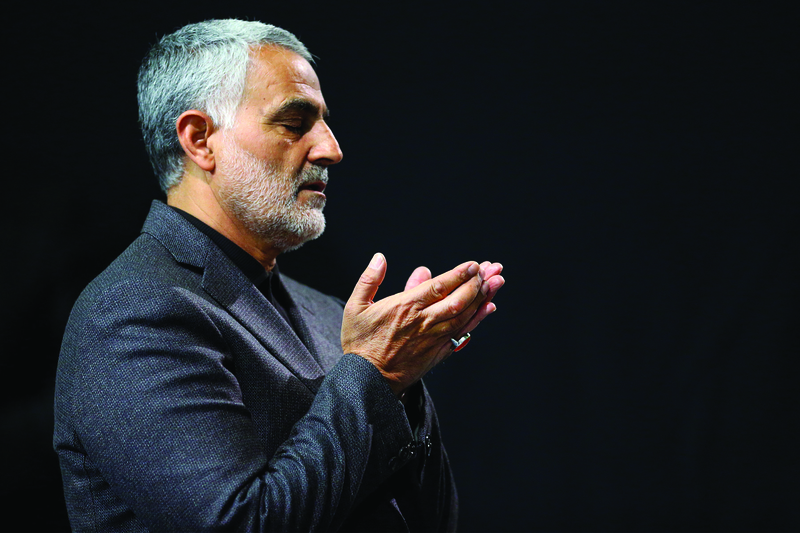 Furthermore, it was noted that an anonymous government official from the Sulaymaniyah region of Iraq, who assisted in brokering, would receive the fantastical sum of $50 million – the same amount that we know found its way to the pocket of Qasem Suleimani – commander of the Quds Force of the Iranian Revolutionary Guards, responsible for international operations abroad, and a key figure in putting together this shady deal in all of its stages. Even if we only look at the breakdown of the sums of the payouts, which amounted to a total of $150 million, we can get an idea of the total scope of the deal and the unprecedented amounts pocketed by terror groups in the Middle East – money that will surely be sufficient to finance their murderous activity for many years to come.